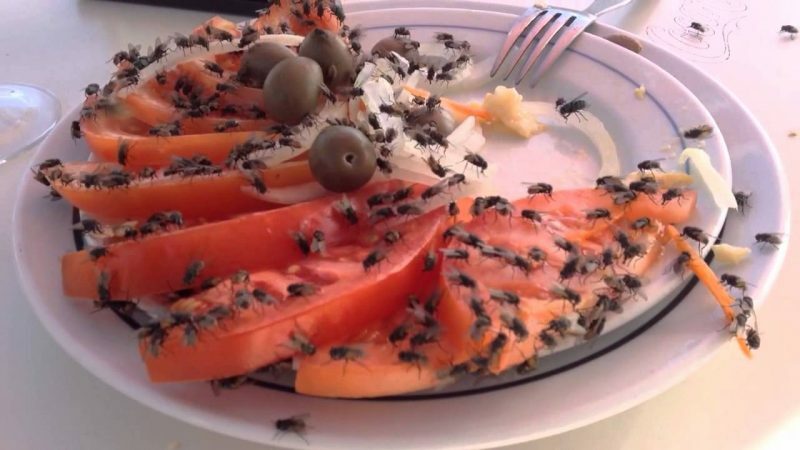 Fly’s can really be a nuisance pest specially during the summer months. When you cooking your meals inside and have the windows and doors open the cooking smells can waft outside and travel some distance. This then becomes a signal for flies that something yummy is in the area. They are very good at following up the trail and will seem to arrive at your doorstep within minutes of you starting to cook your meals. If you have sliding doors, screen doors or fly screens this can offer you some great protection. They will however be waiting at the door for that opportunity when the door is open or even land on someone’s back and wait for them to come inside. On hot days they are much like most animals and will seek out cooler areas to rest during the day. This is likely to be the cooler parts of your yard or bathrooms or cellars. Jim’s Pest Control can provide some really good solutions to help control your fly problems. Our technicians will be able to give you some advice on what you can do to help reduce the numbers and increase the effect of any treatments that may be applied. The technician will use the most up to date techniques to deal with your pest problems and target the specific areas that we know as professionals that flies like to frequent. With a joint approach between yourself and our fully trained technicians we believe that we can significantly reduce the impact that flies are having on your life. Please remember that flies are a flying insect, in order for any treatment to work they must actually land on the treated areas, so please make sure you highlight to your technician the areas your flies frequent.